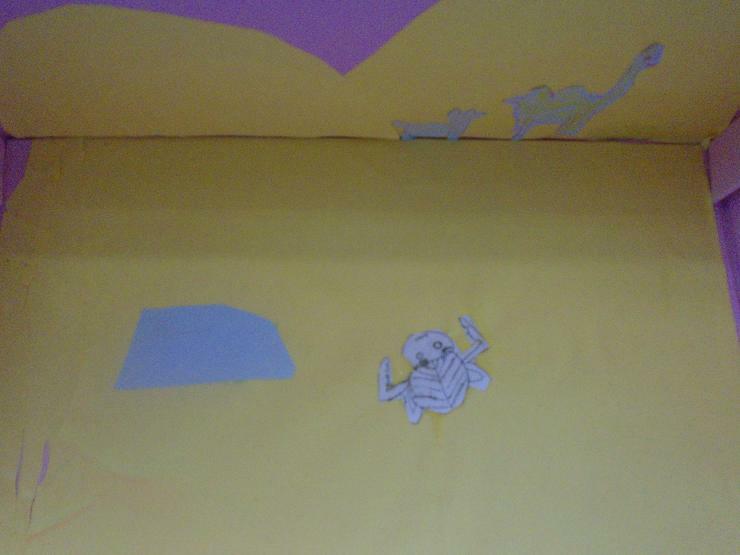 Welcome to Frogs class page! 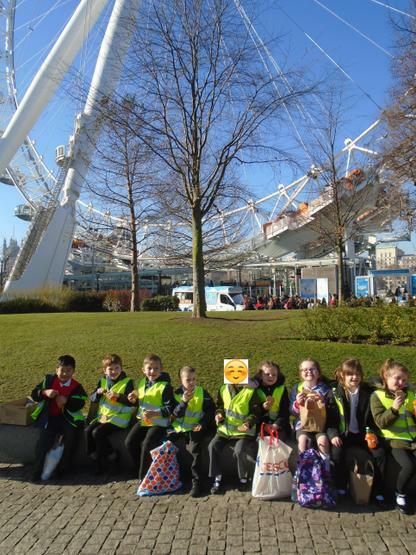 Please keep checking back for updates about our learning and all the amazing experiences we are having! 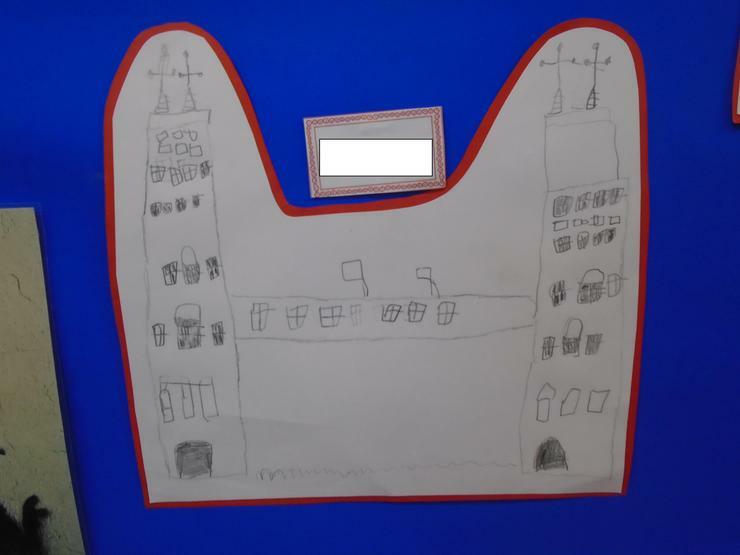 Our class teachers are Mrs Maloney, Mrs Bowland and our learning support assistant is Mrs Bowley. 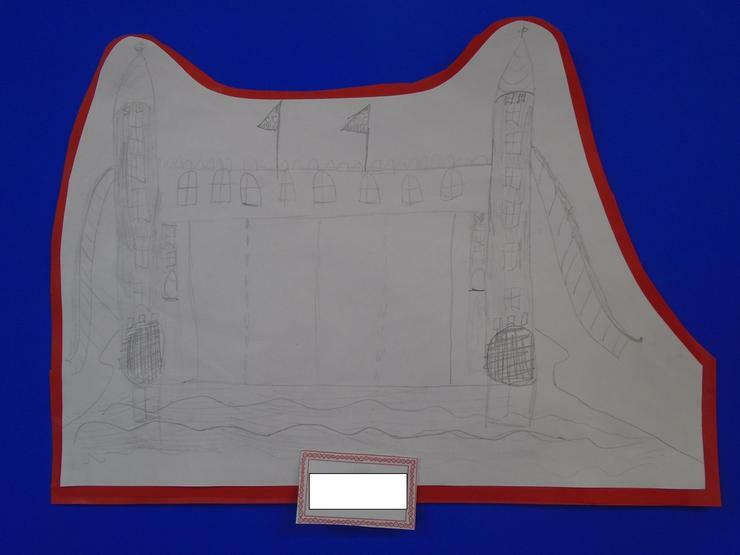 PE takes place on Thursday and Friday afternoons, please try to make sure your child has sensible footwear for these days. 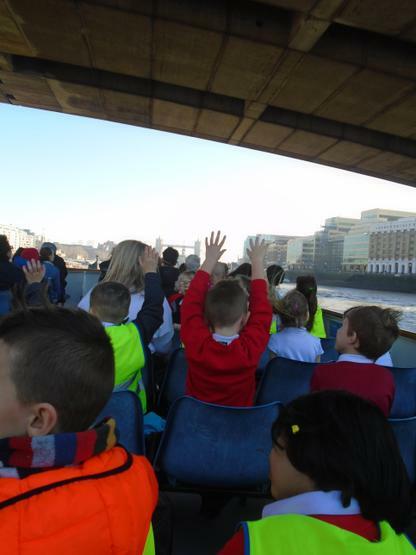 During the winter months, children will be doing PE outdoors, so make sure they have warm clothing. 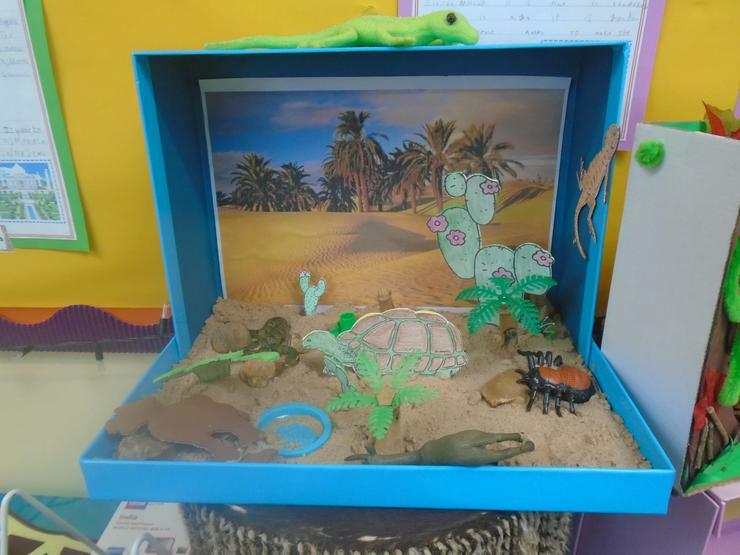 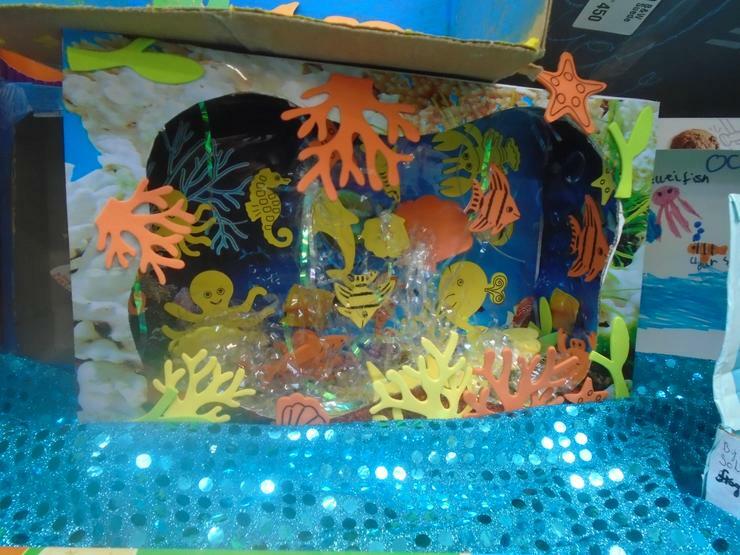 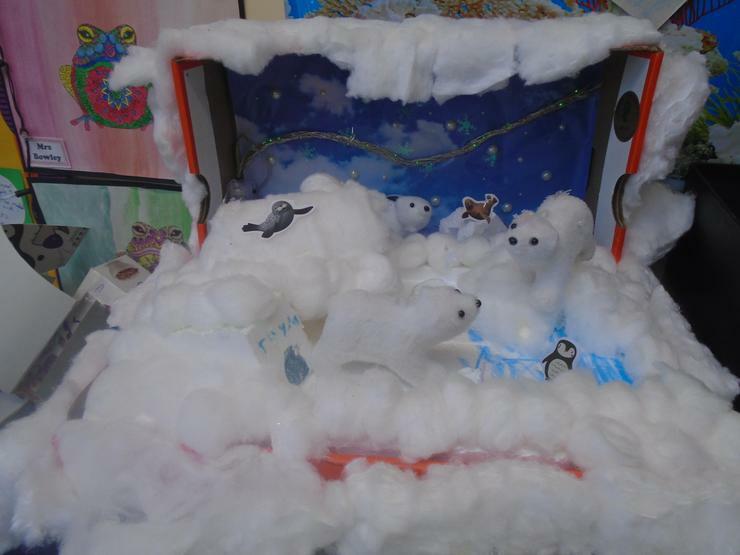 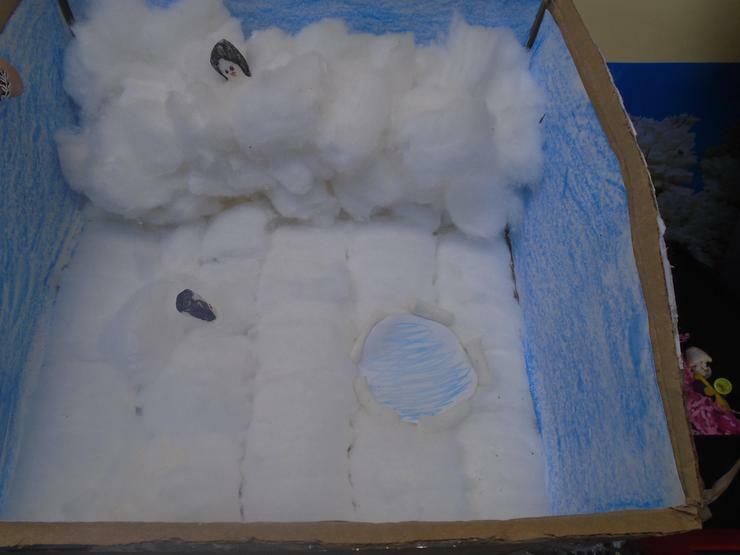 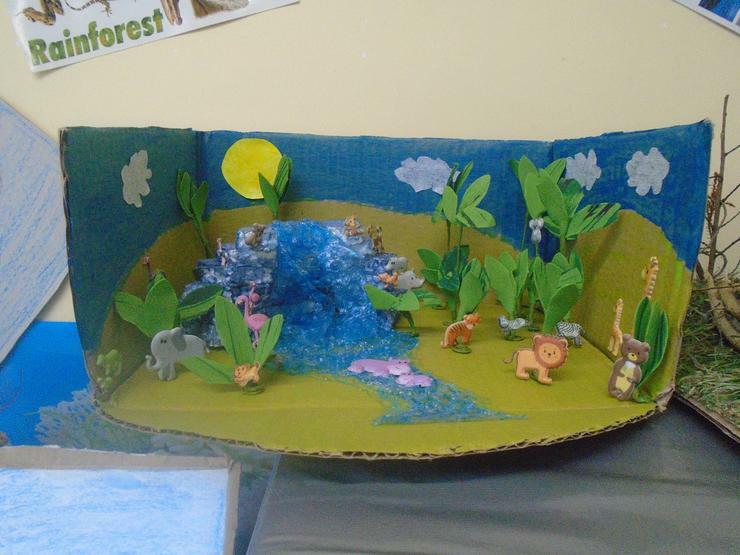 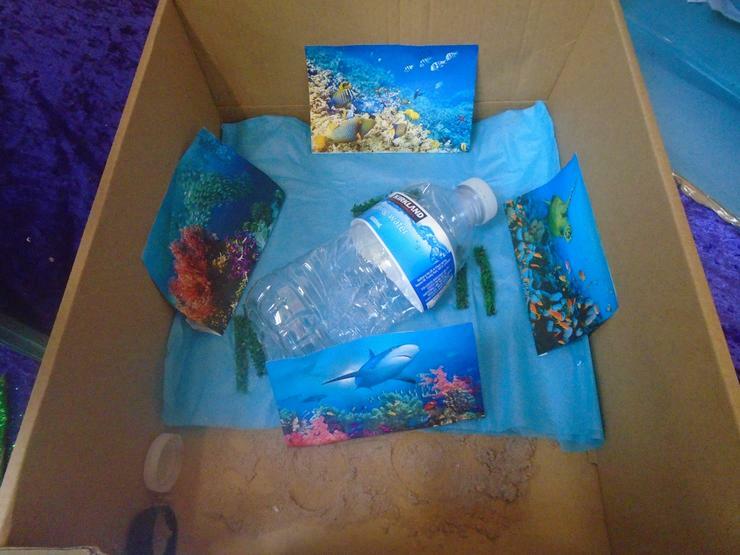 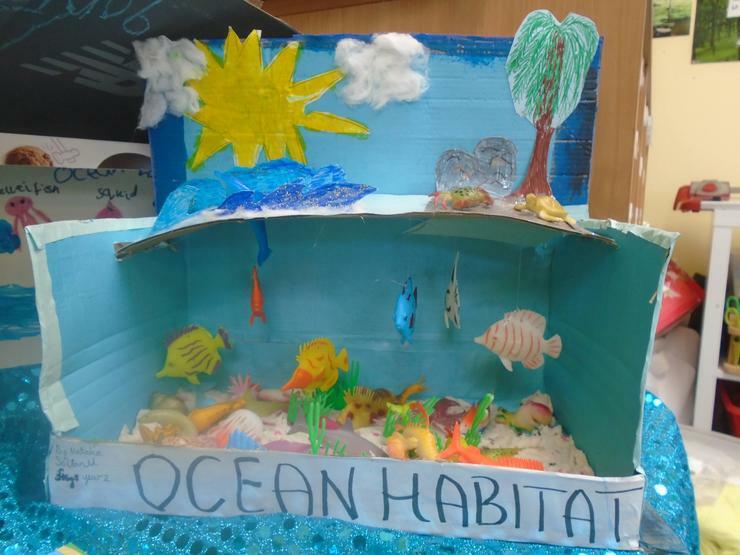 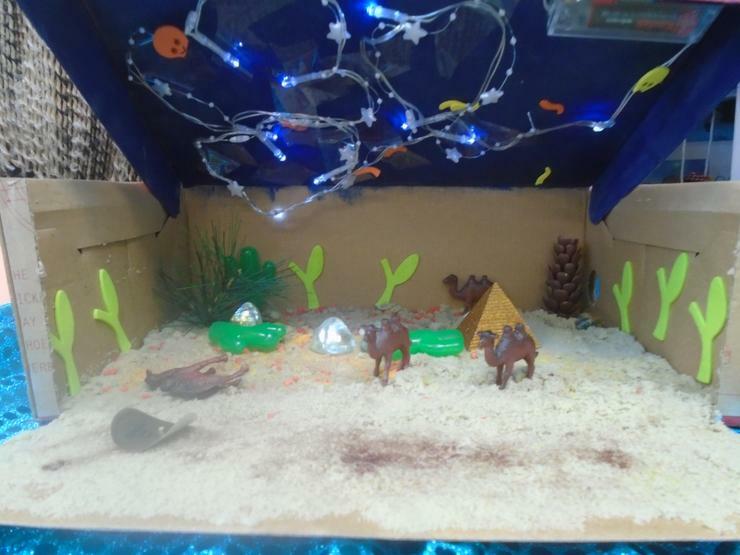 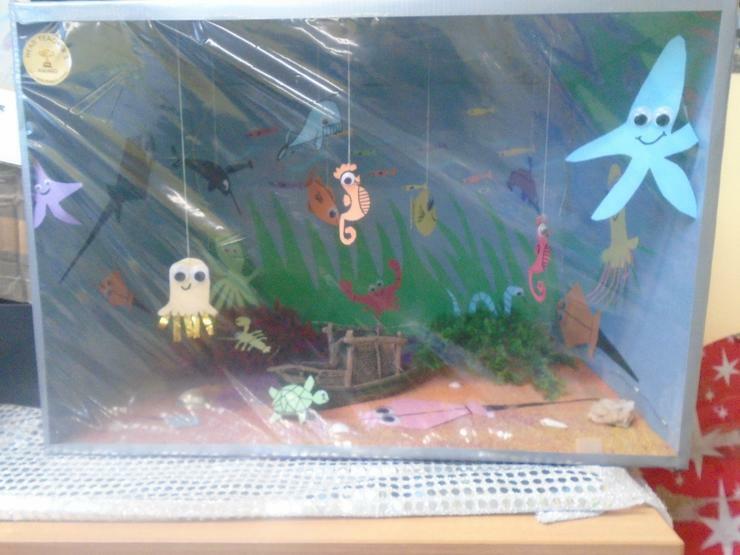 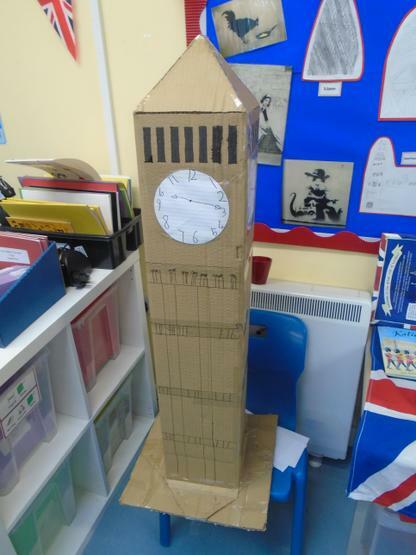 Children will also receive a Take Home Task to complete at home, this will be a task for pupils to complete over a few weeks to make sure it is absolutely fantastic! 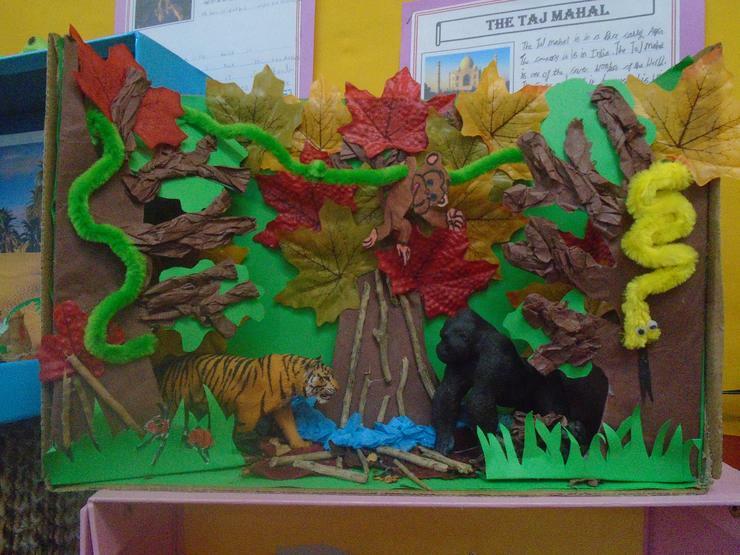 Finally, could you please ensure your child is reading at home as much as possible. 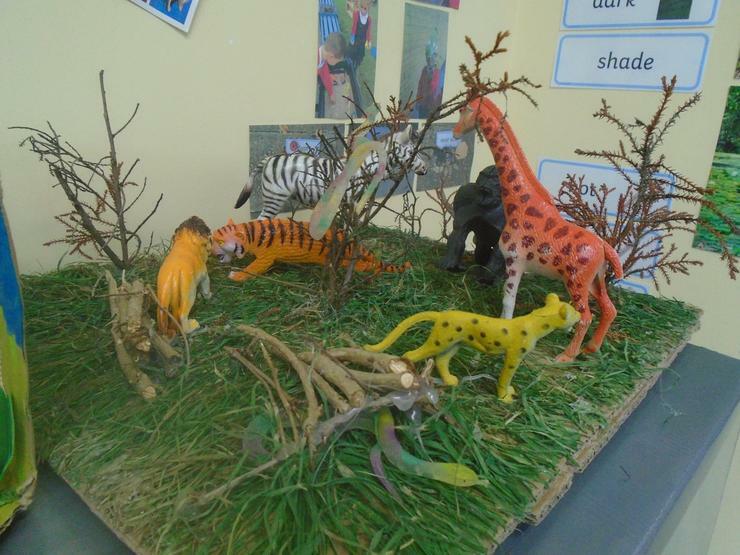 It allows them the chance to show off what they can do but also helps them to make great progress. 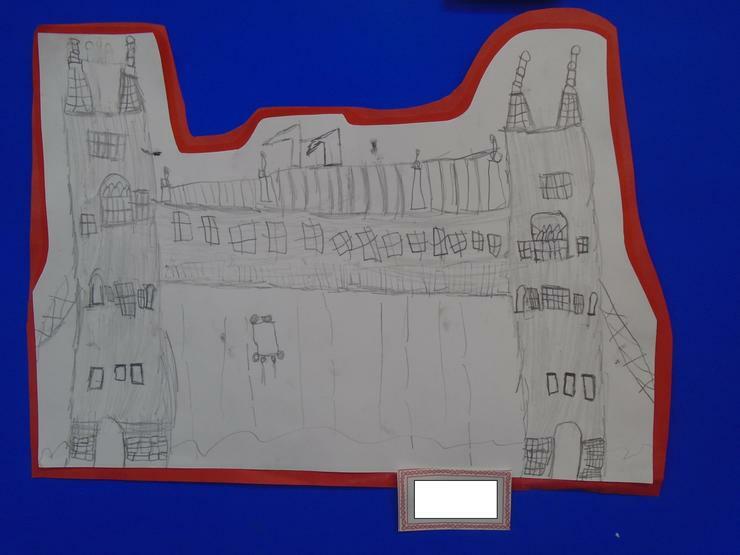 To help us make links between areas of our learning, in our classroom we have a concept map. 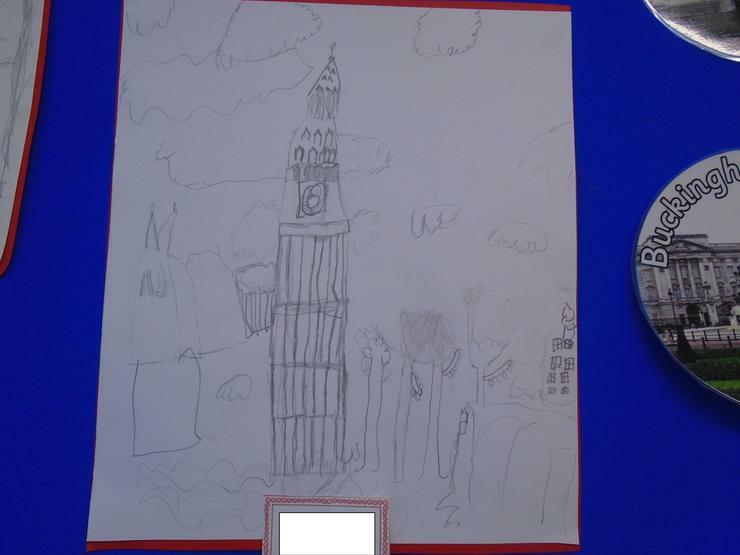 This has a range of words on it that we will cover during the spring term. 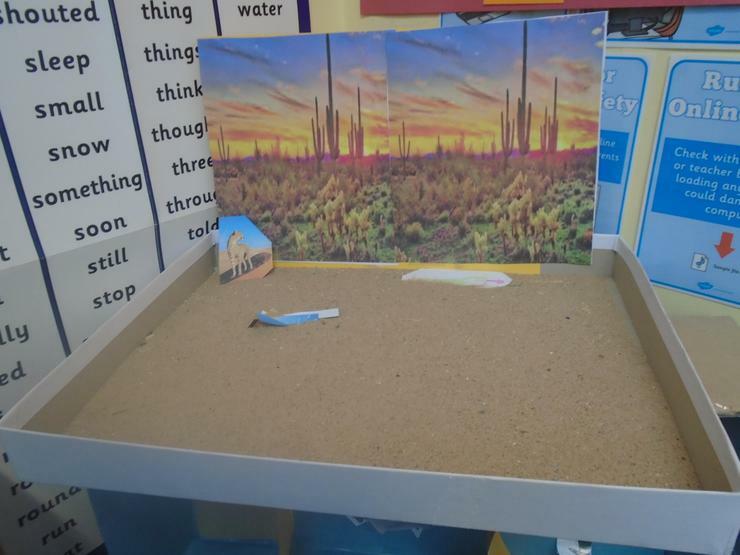 Having this up in our room helps us to see all the new vocabulary we are going to be using, seeing how it links to other areas of our learning and it also gives us time to do some research to find out what new words mean before we start exploring them! 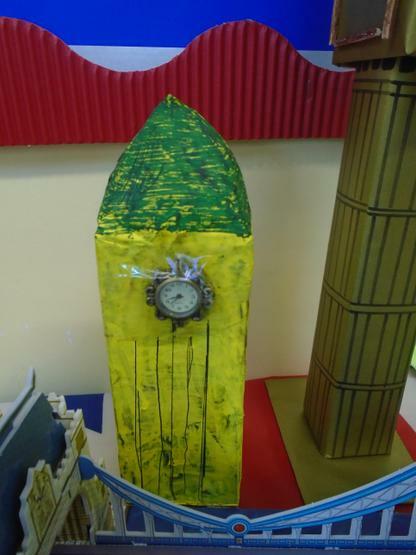 We were lucky enough to go to London and see all the landmarks we have been learning about in class! 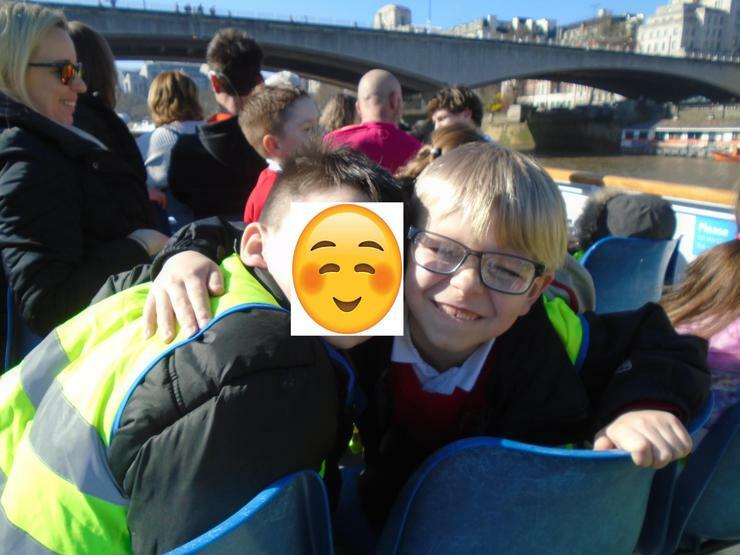 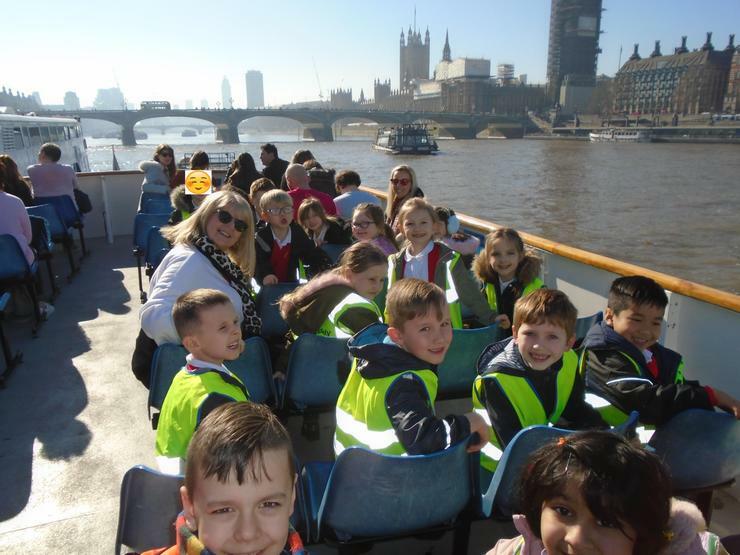 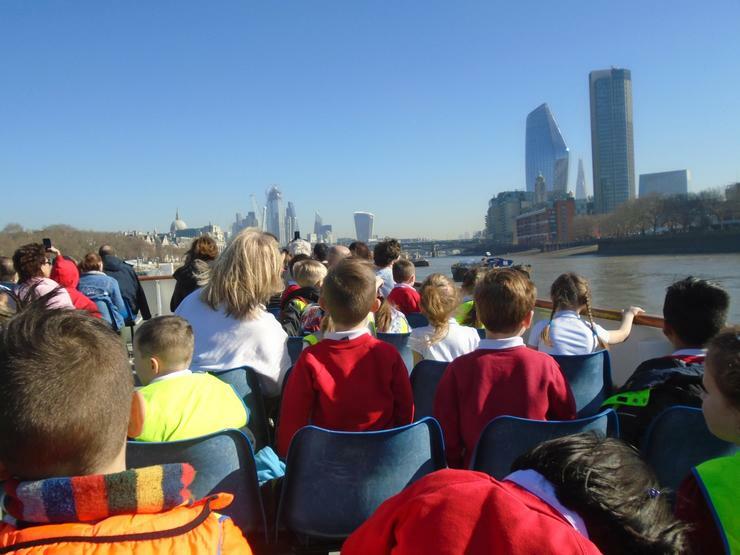 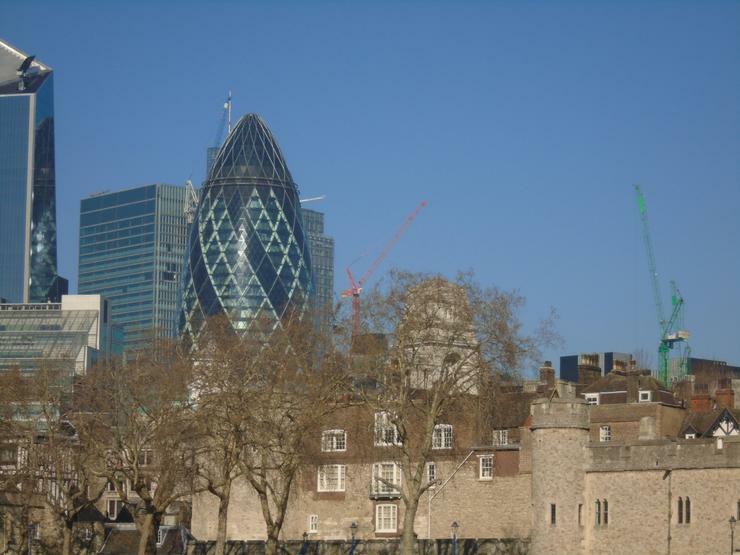 We took a cruise down the River Thames and spotted LOADS of the landmarks, we even sailed under Tower Bridge. 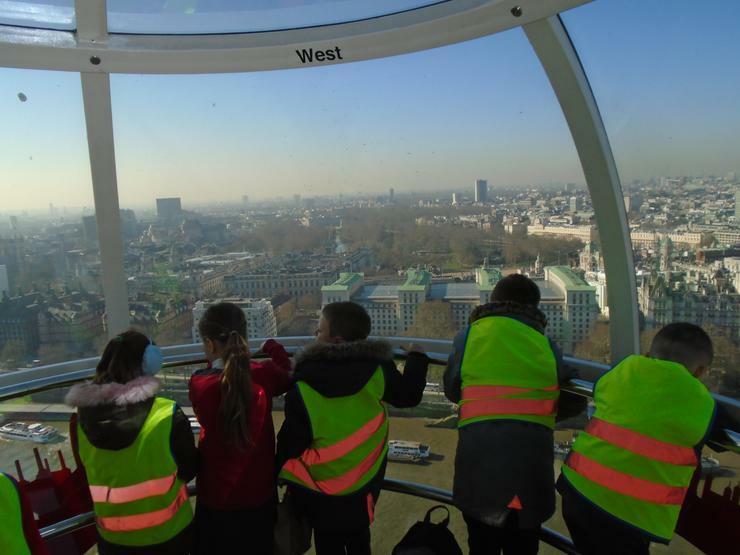 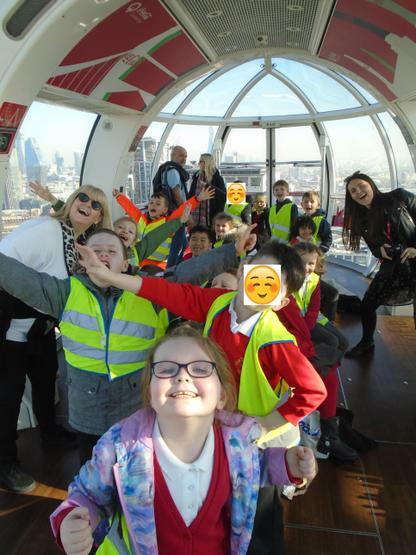 Then, we boarded the London Eye and travelled to the top to see London from an aerial view. 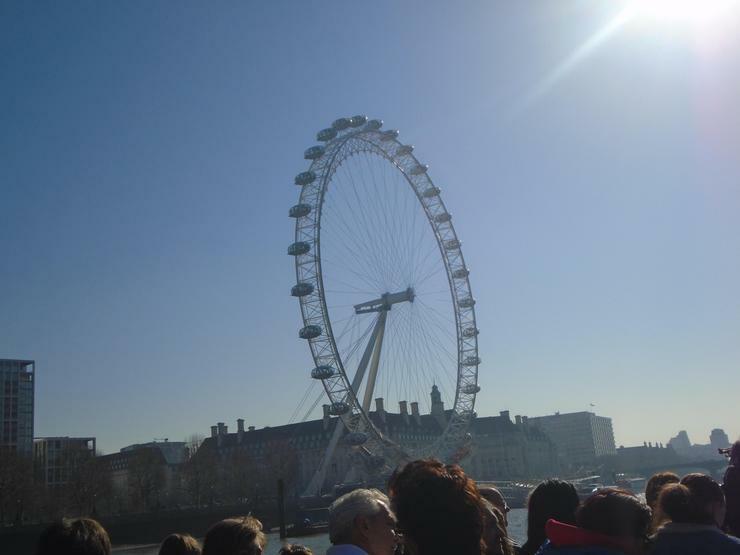 The sun was shining and it was a fantastic day. 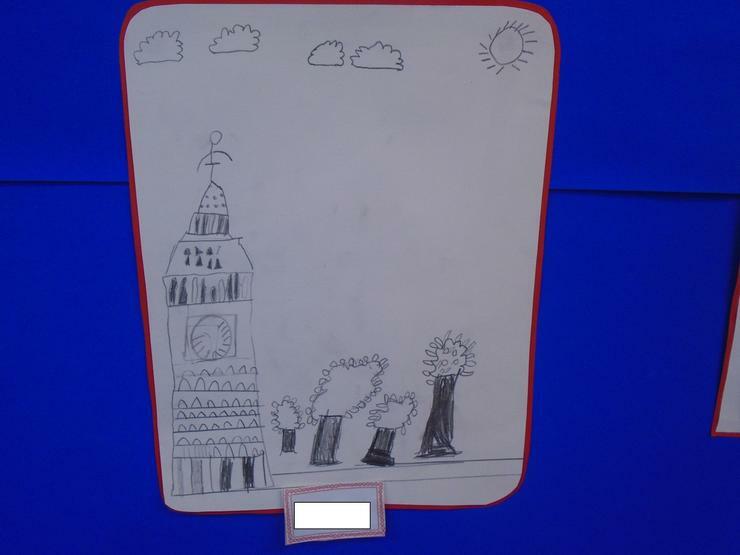 During our topic, we have spent time exploring all the different London landmarks. 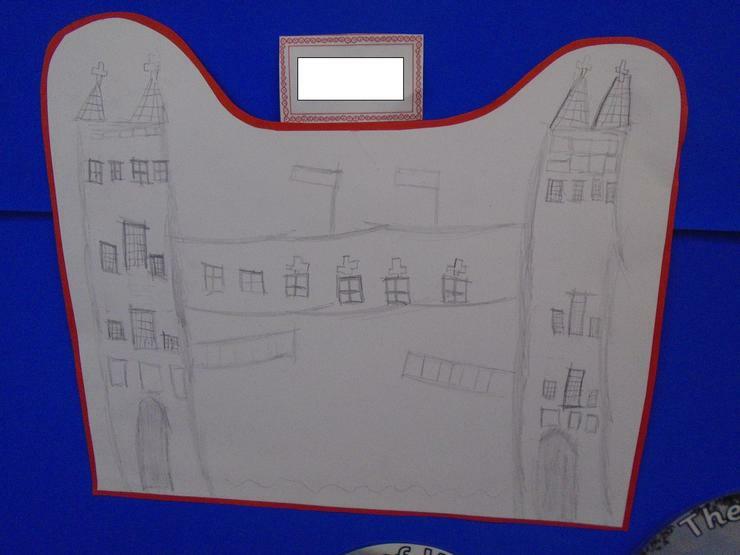 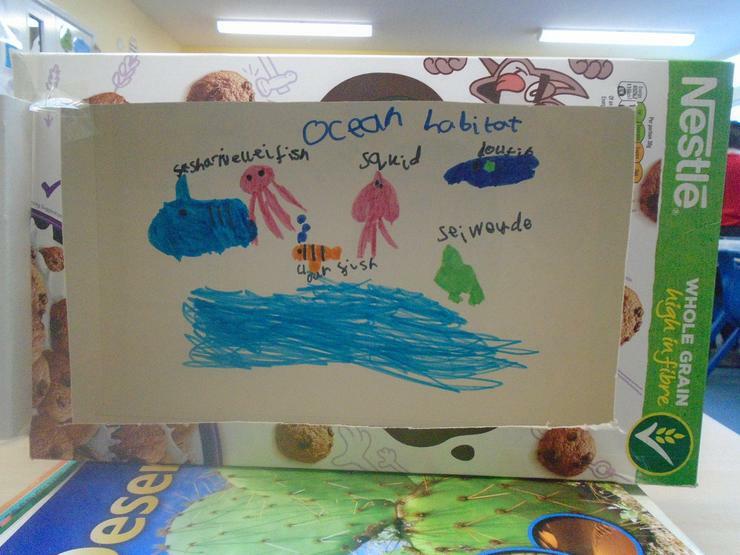 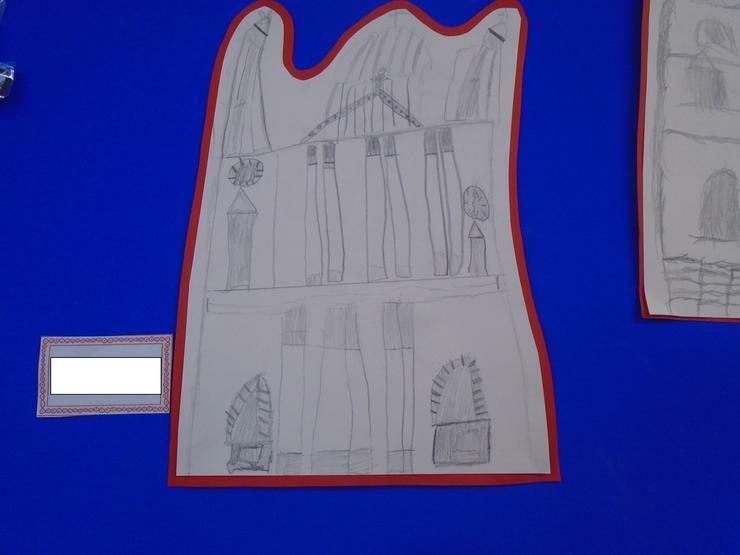 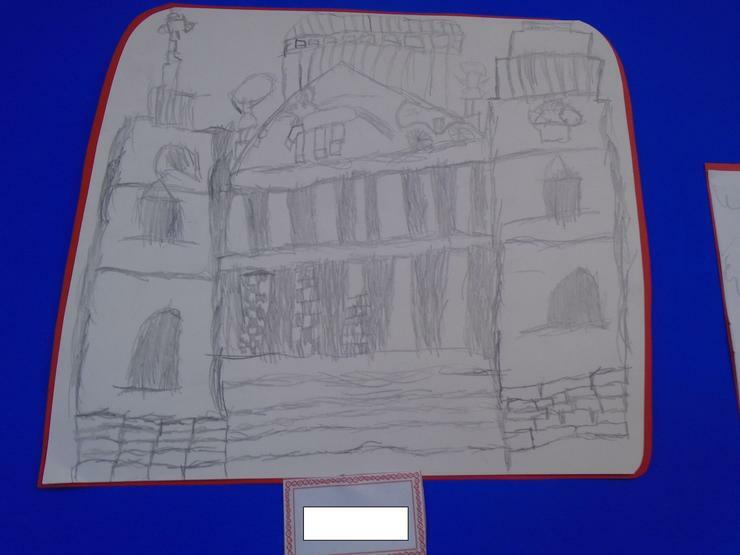 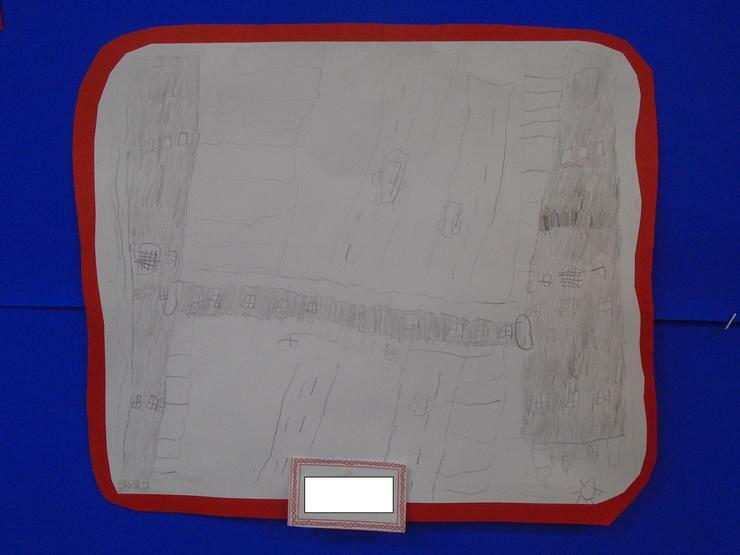 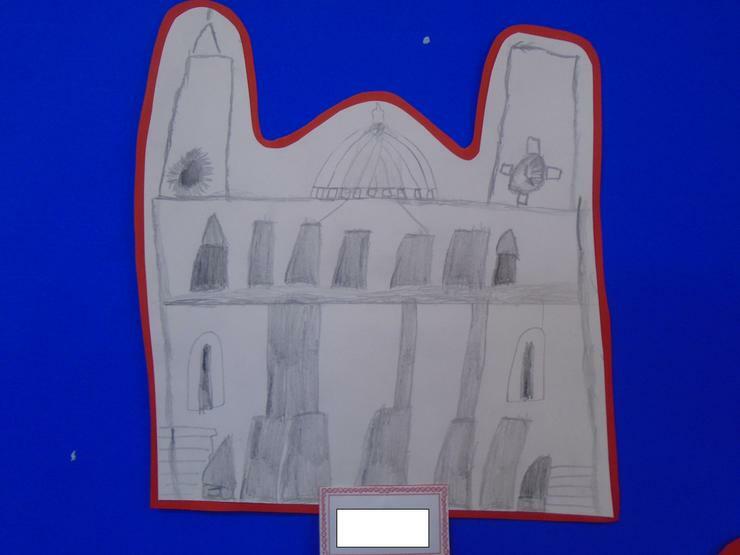 We created detailed sketches of the different landmarks. 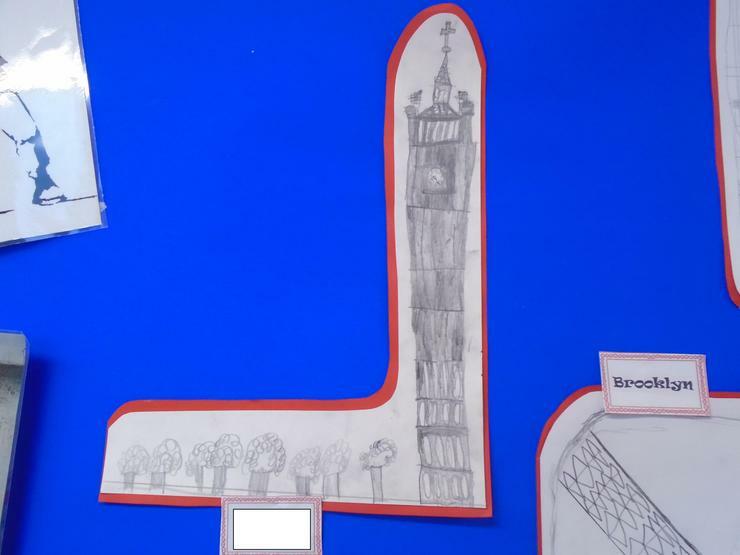 We needed to think carefully about the size of our sketch, the shape of our landmark and all the different details we needed to include. 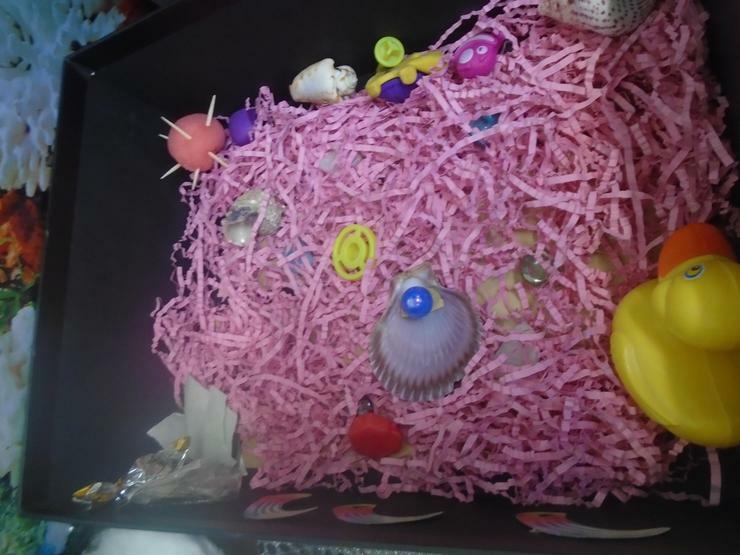 Don't you think they look amazing!!! 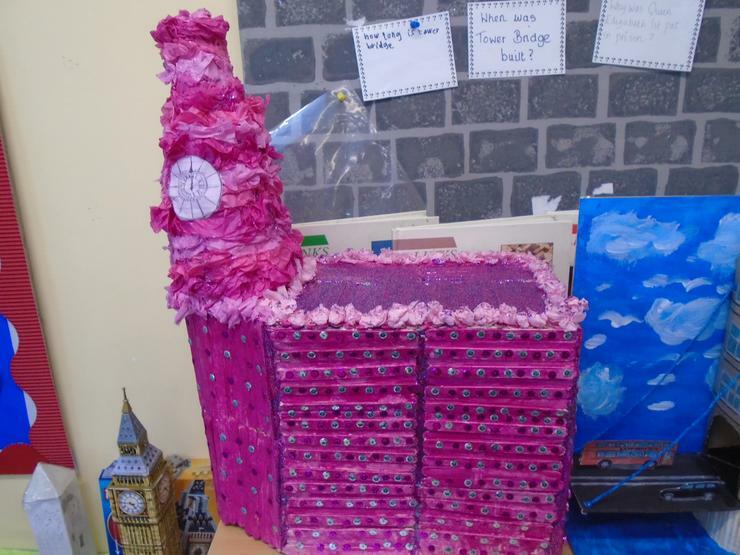 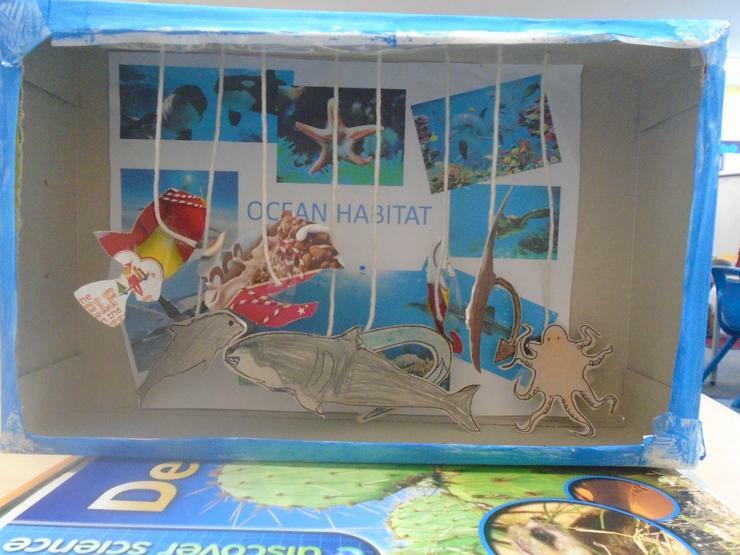 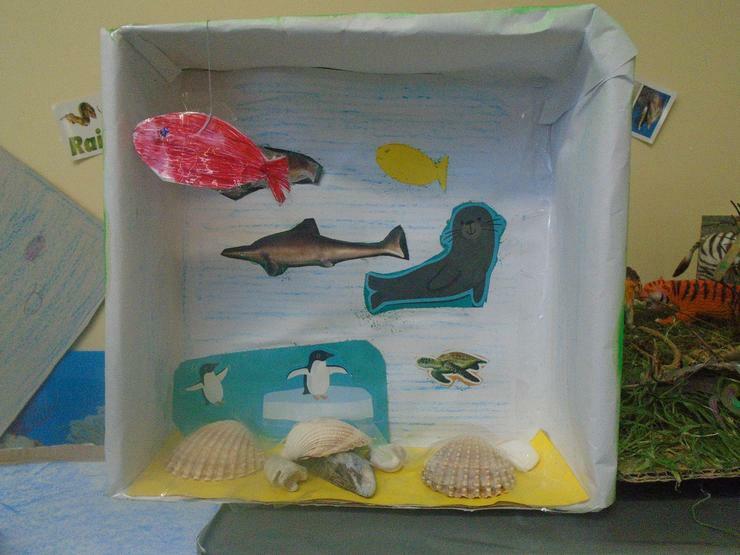 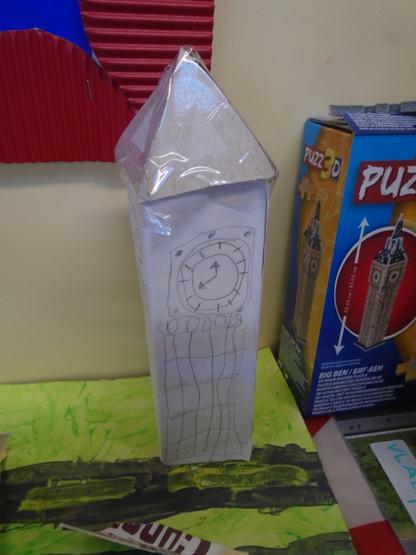 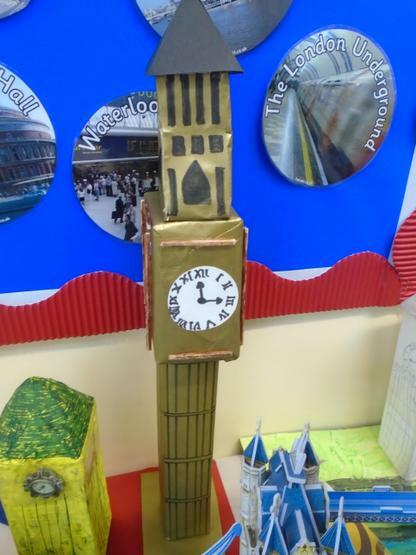 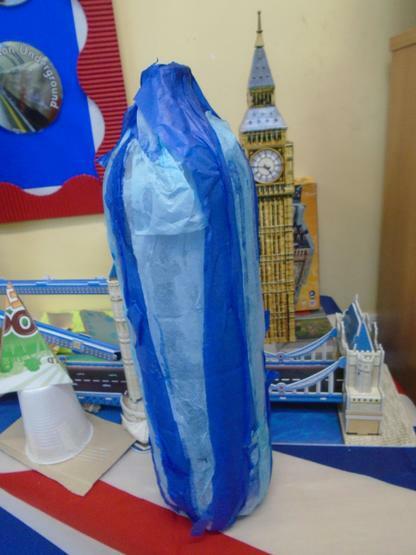 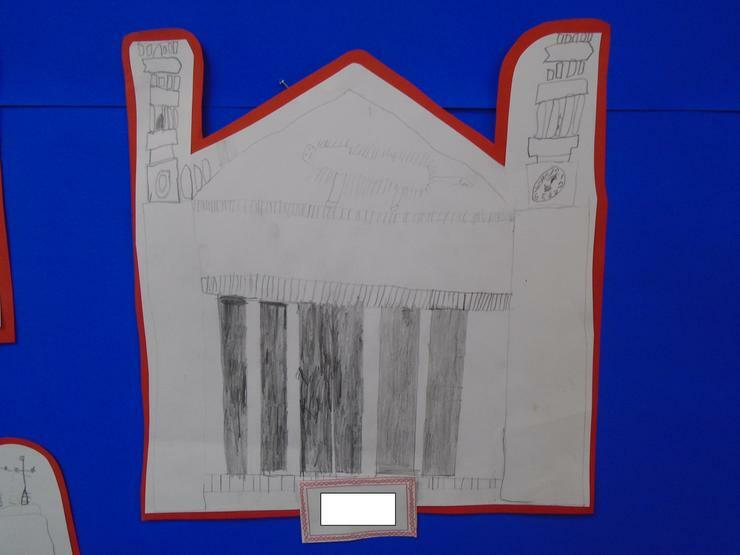 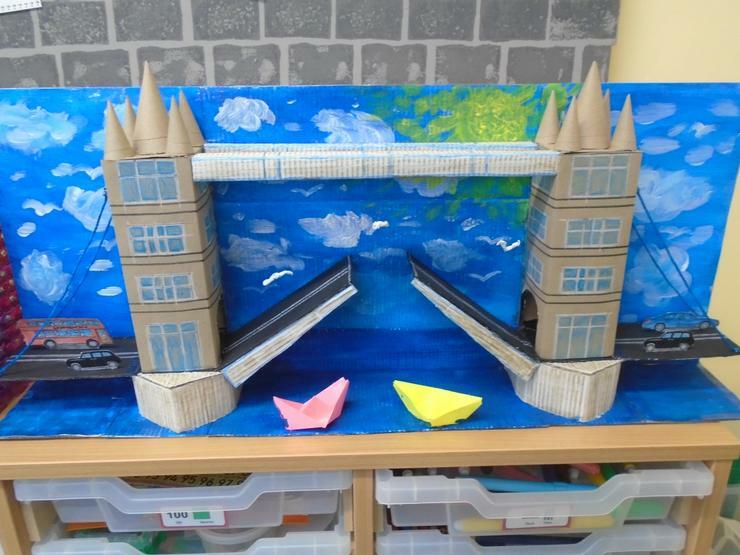 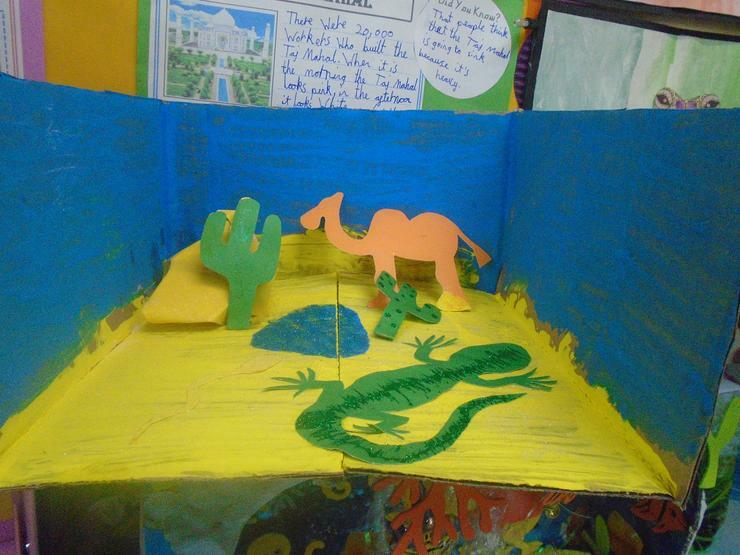 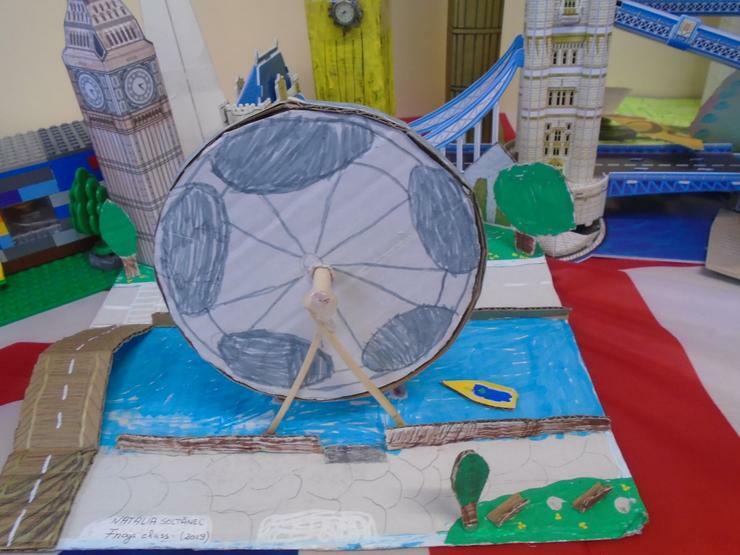 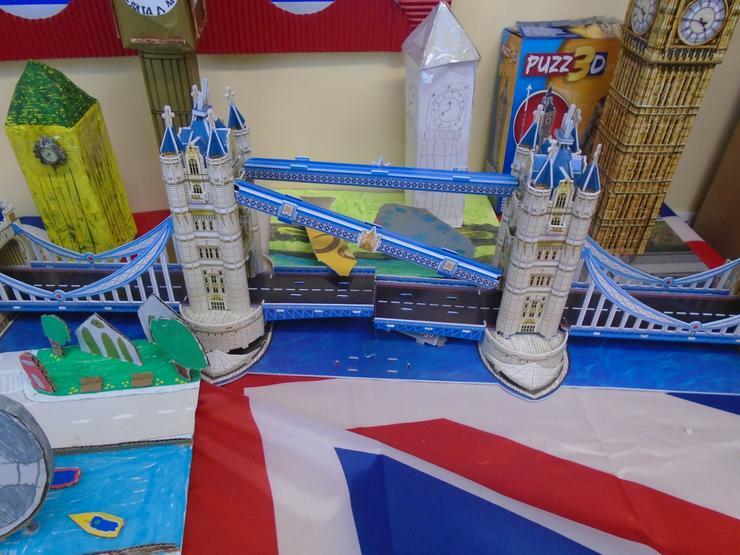 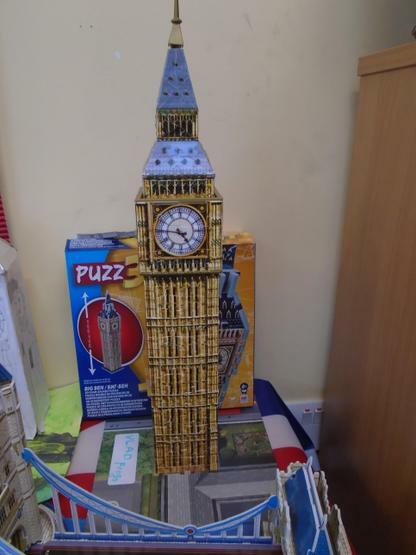 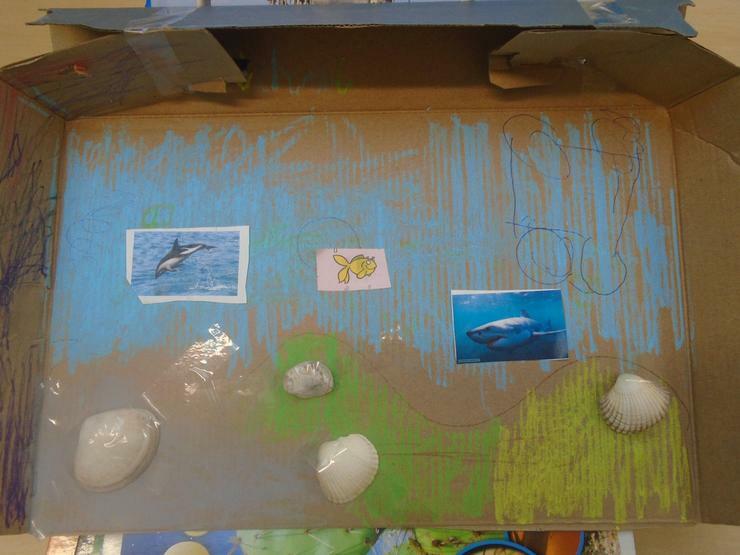 For our homework the first half term, we were asked to choose a London landmark and make a 3d model. 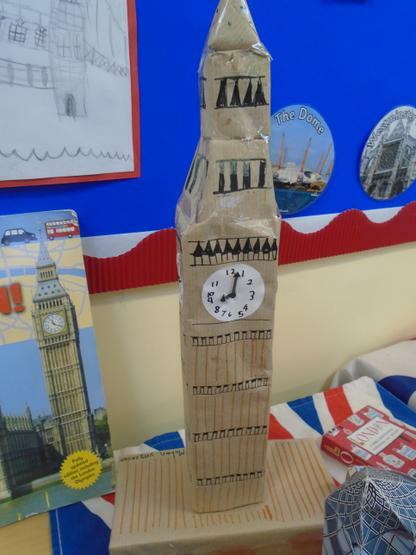 We worked with our families to build our landmarks, some of them even have moving parts! 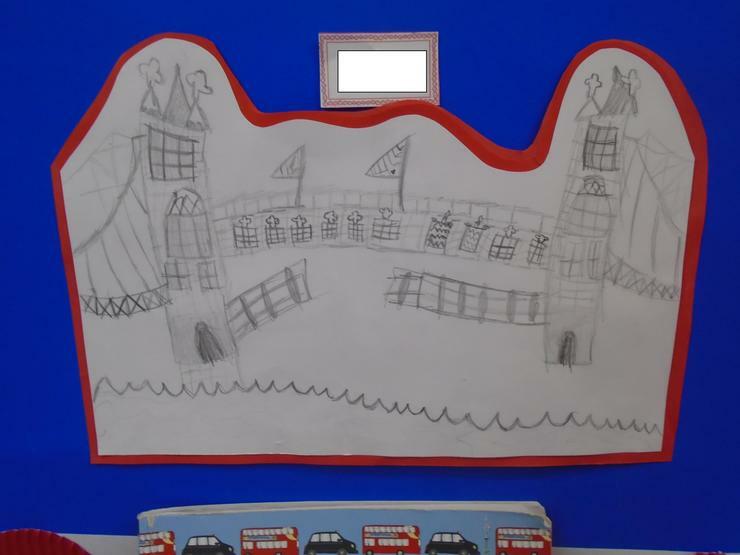 To help us make links between areas of our learning, in our classroom we have a concept map. 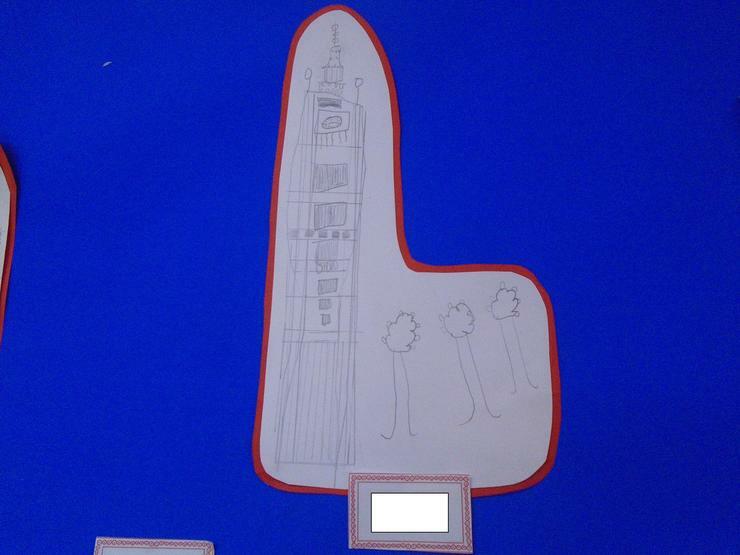 This has a range of words on it that we will cover during the autumn term. 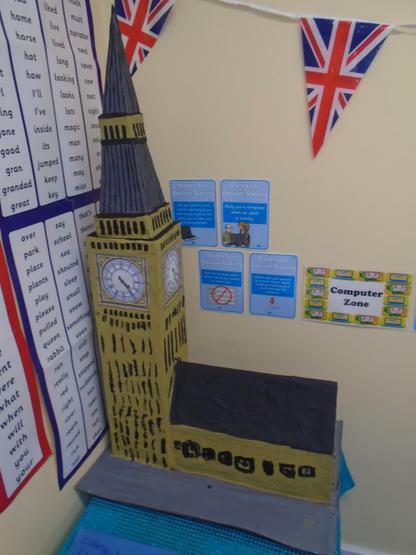 Having this up in our room helps us to see all the new vocabulary we are going to be using, seeing how it links to other areas of our learning and it also gives us time to do some research to find out what new words mean before we start exploring them! 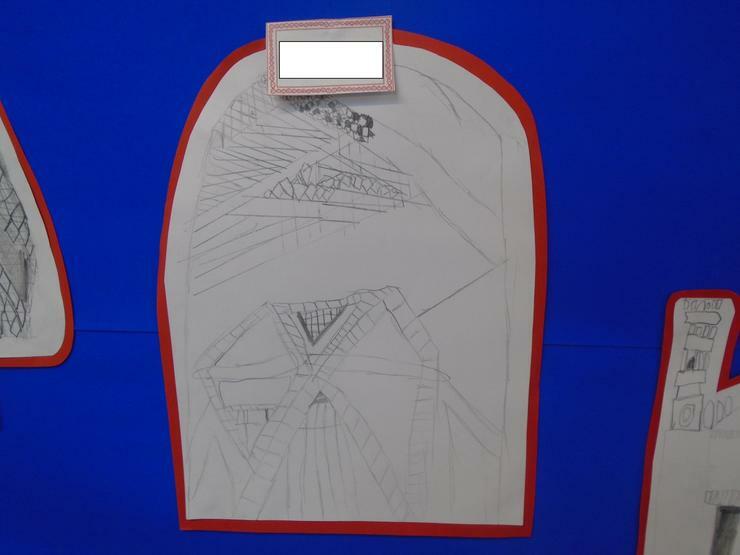 In art, we explored different patterns used within the Indian culture. 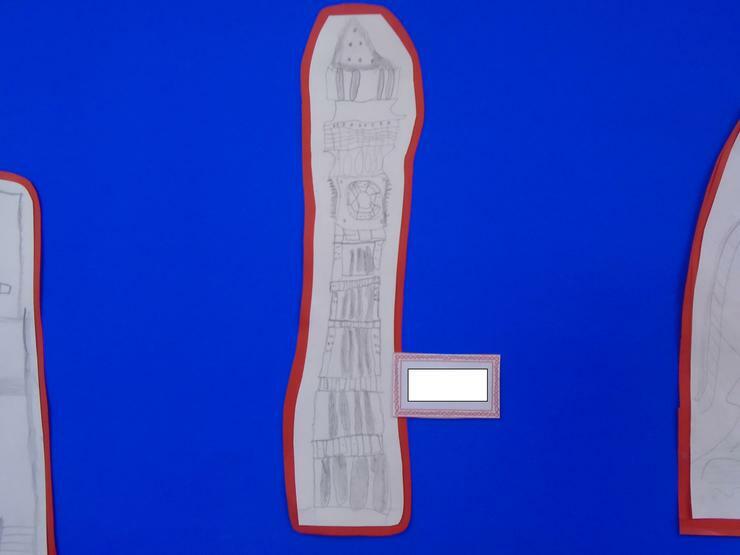 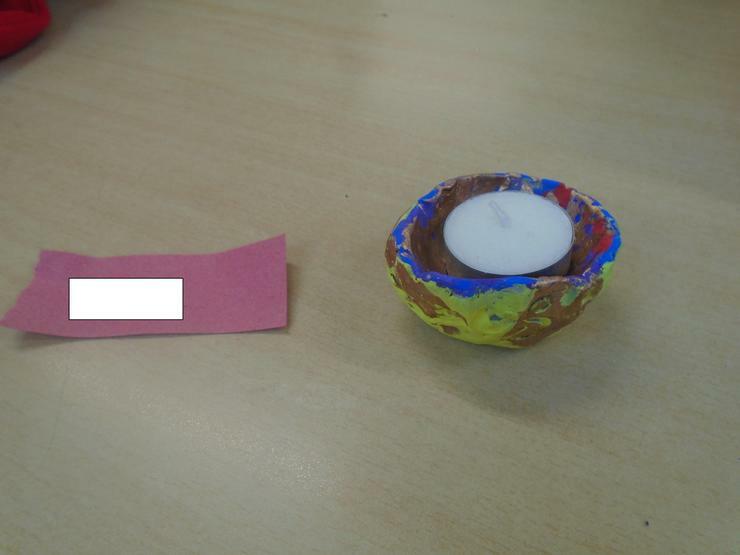 We used these ideas to design and make our own diva lamps. 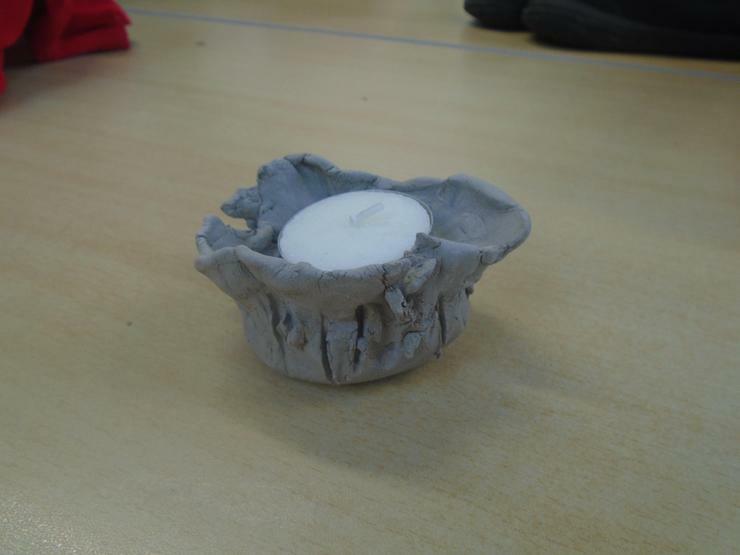 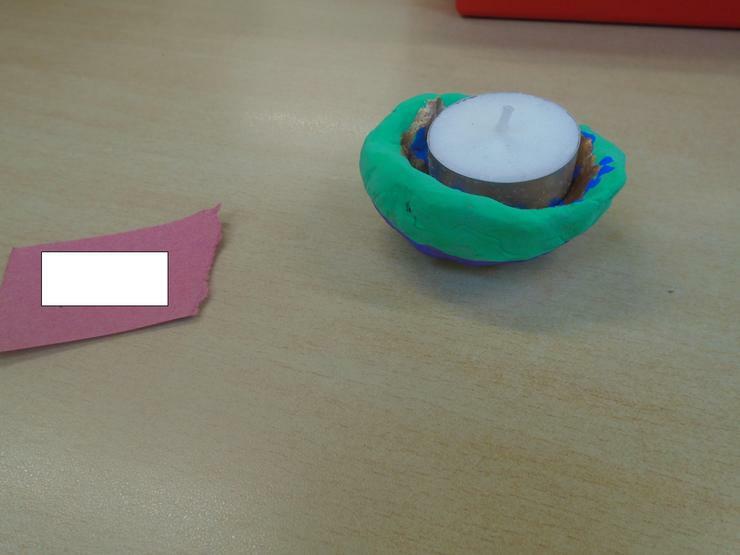 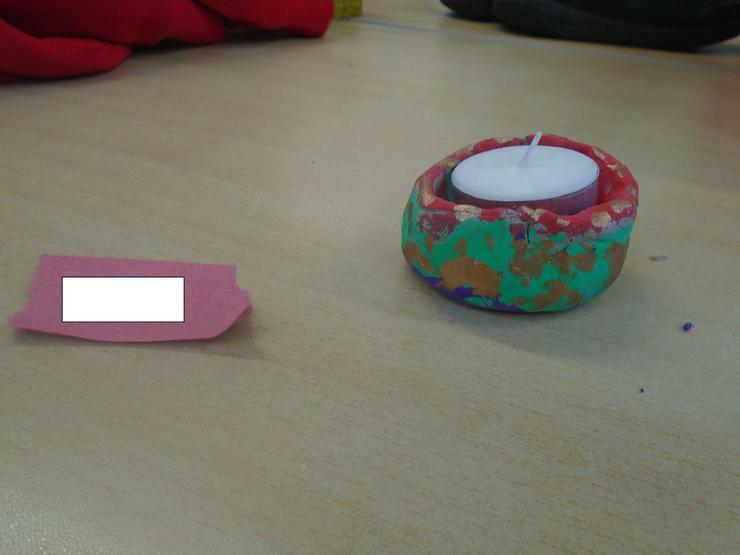 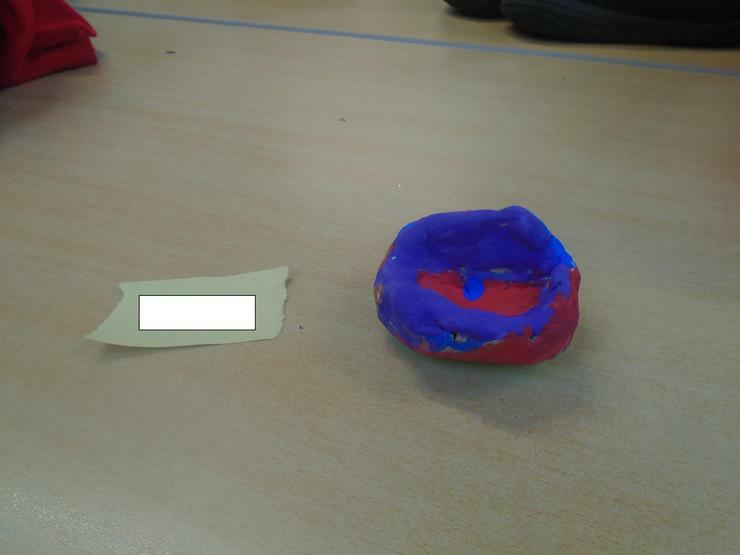 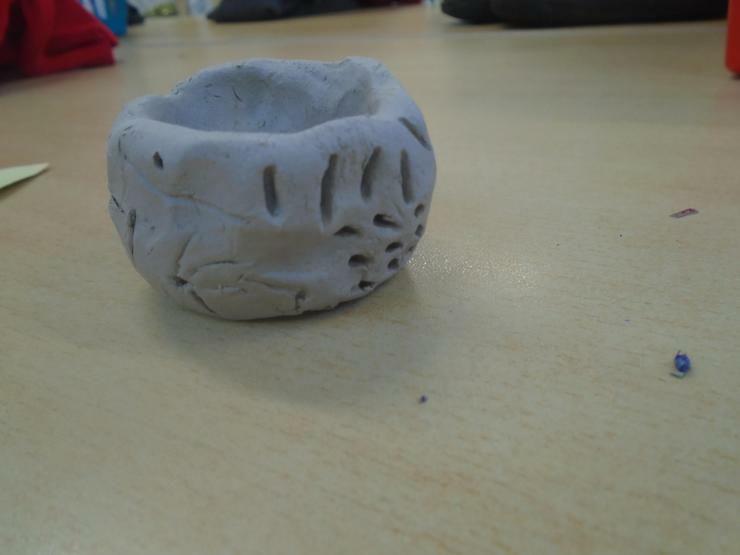 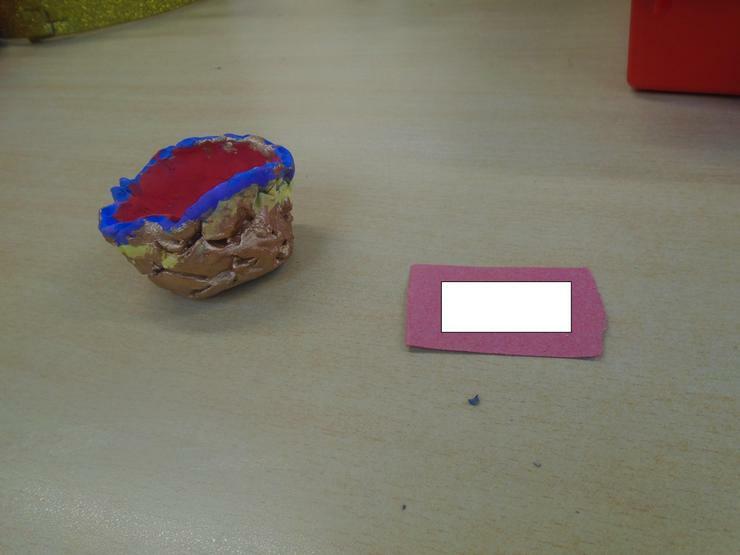 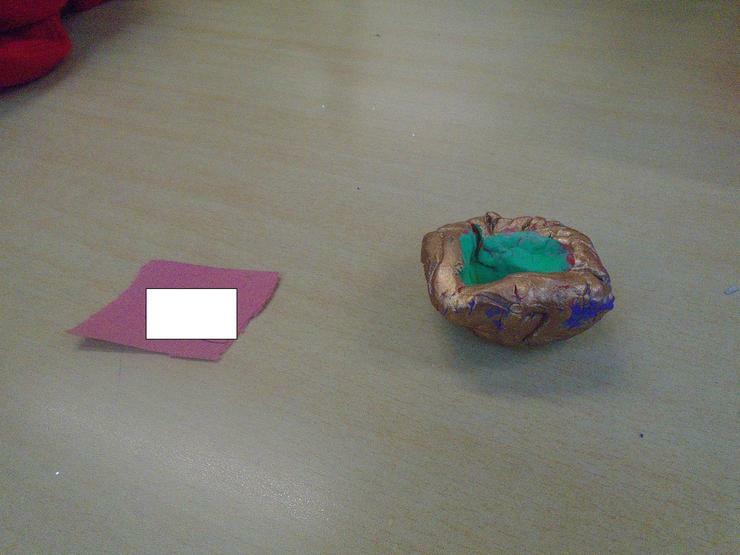 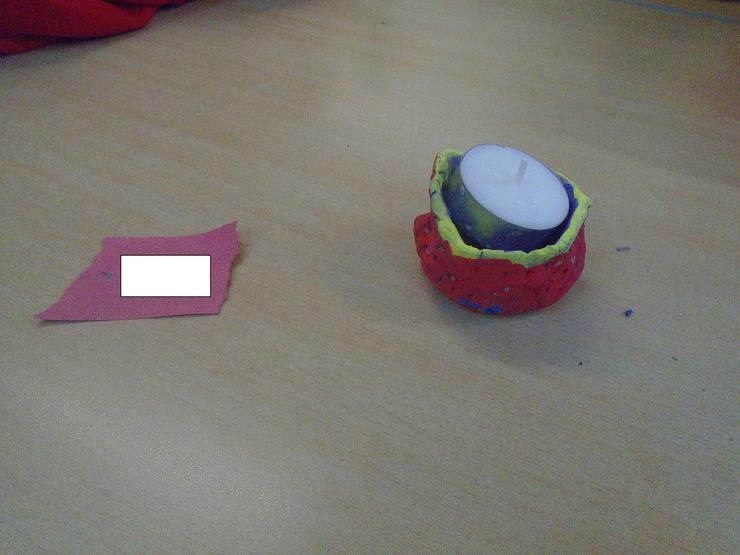 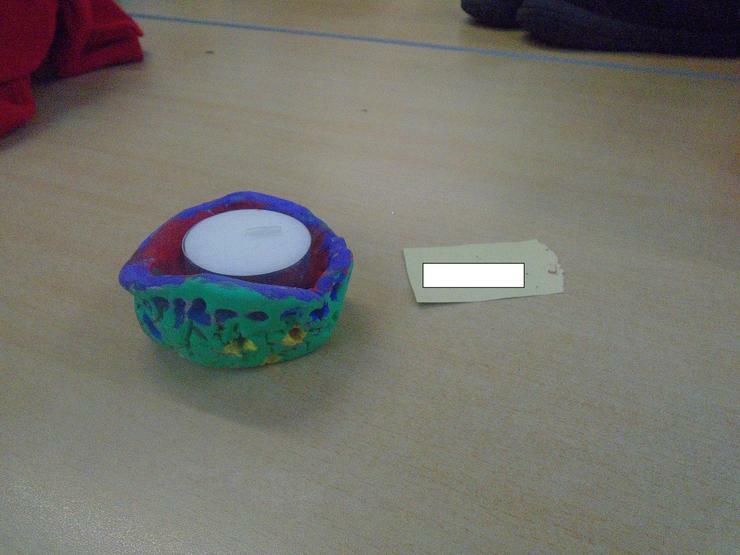 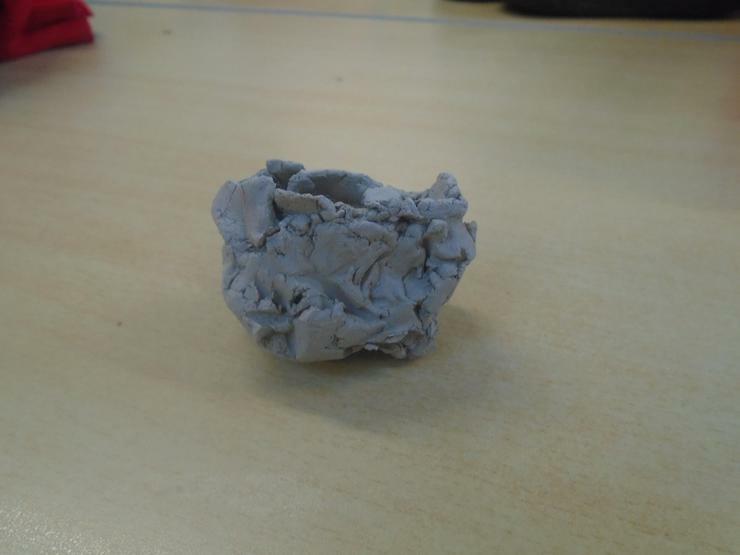 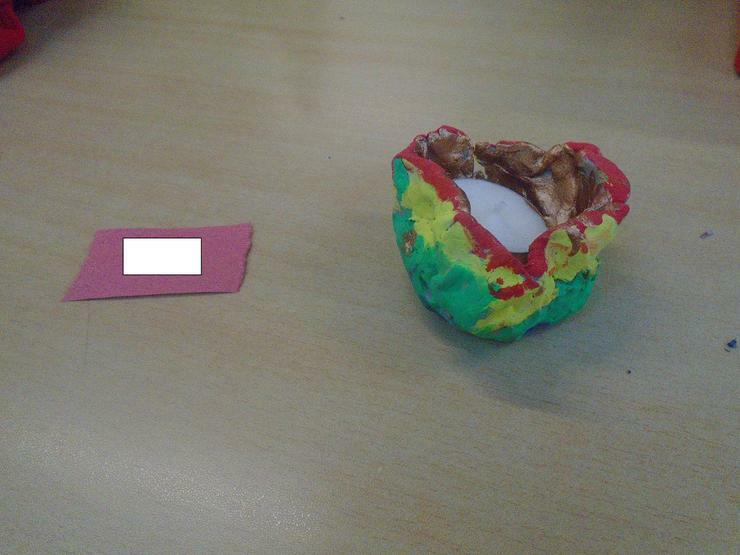 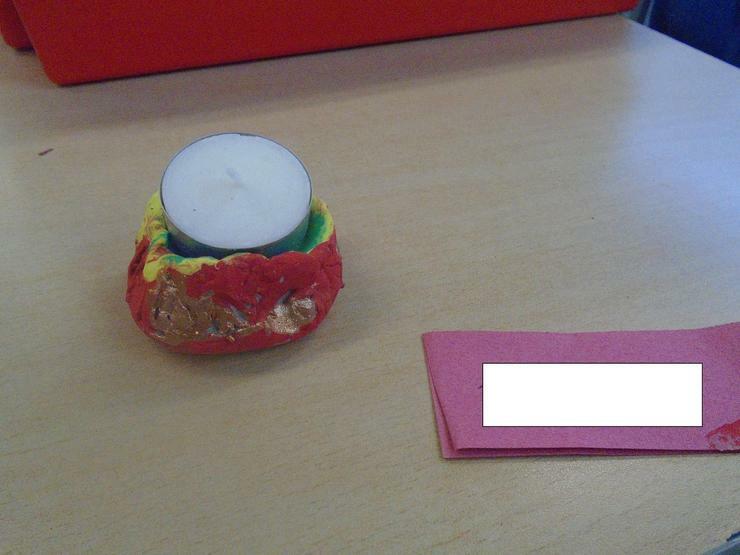 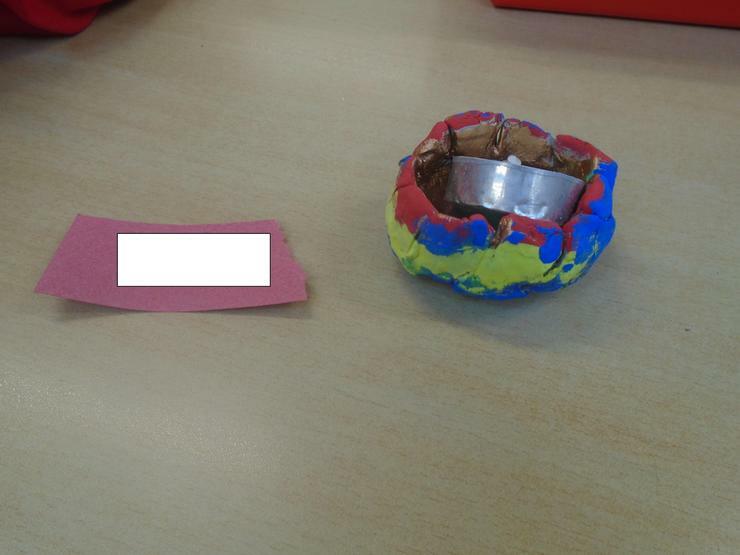 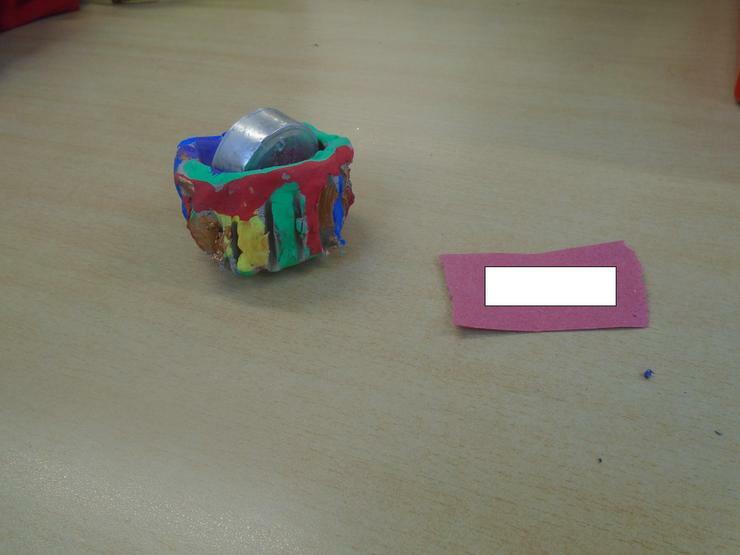 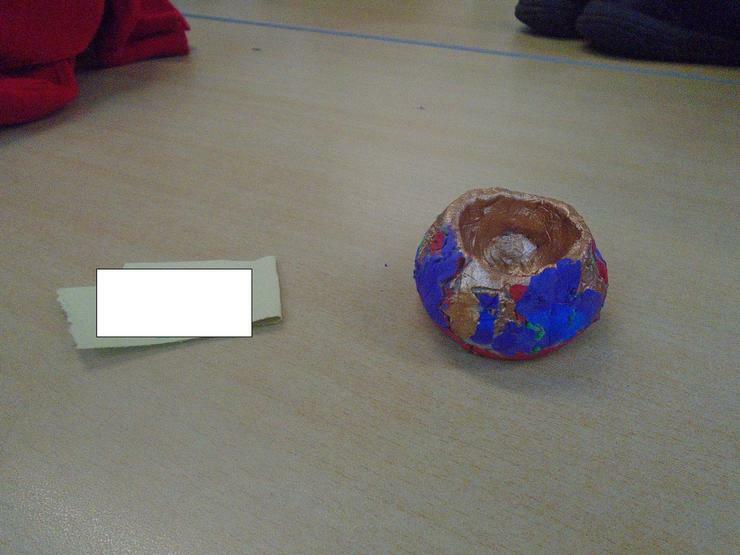 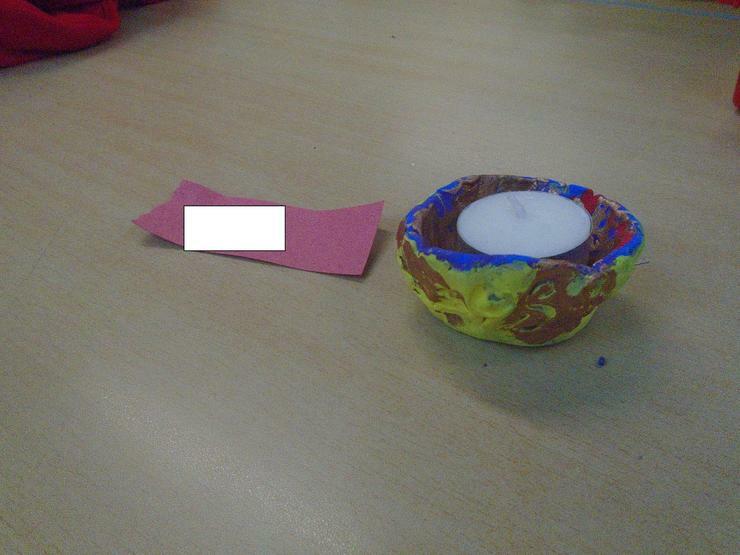 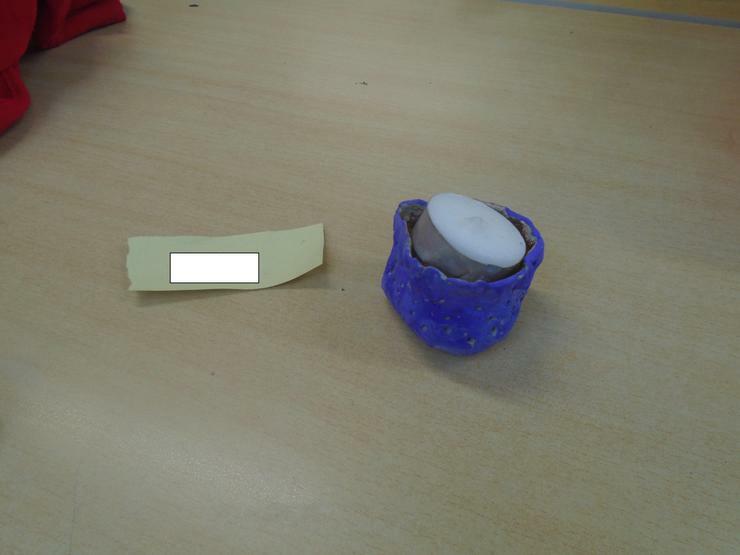 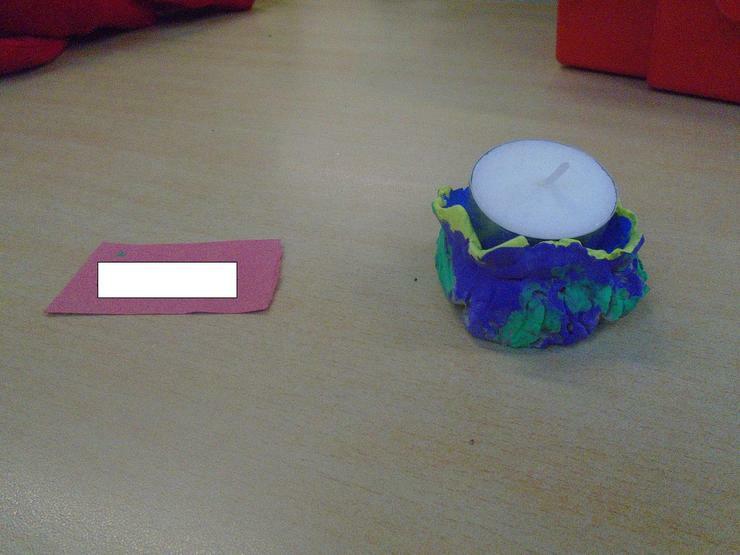 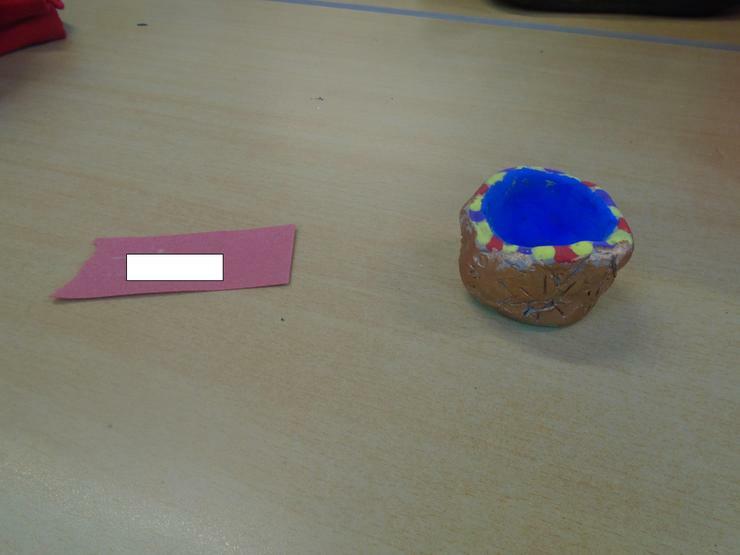 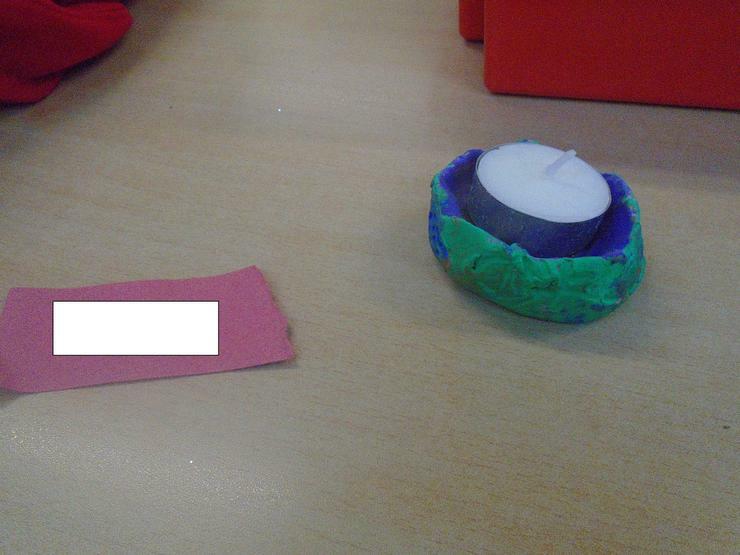 First, we created a thumb pot by pushing our thumb into a ball of clay, then we modelled it so a tea light would sit inside. 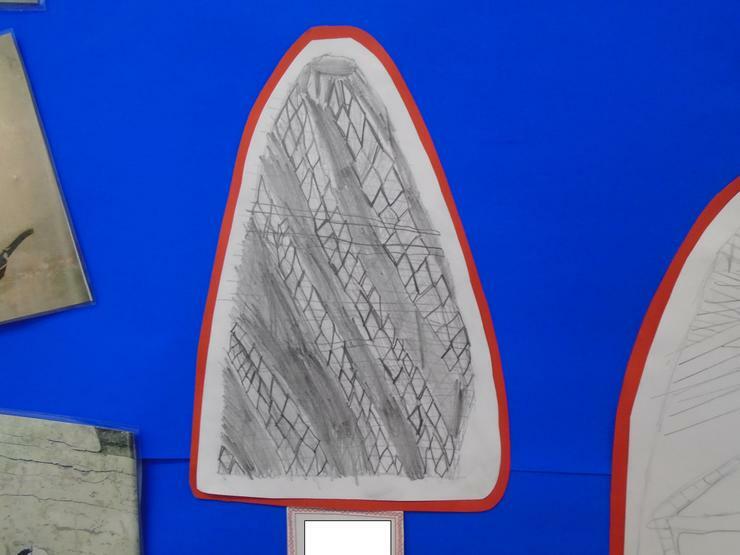 We then used different tools to carve in detailed designs, including swirls, flowers and symmetrical patterns. 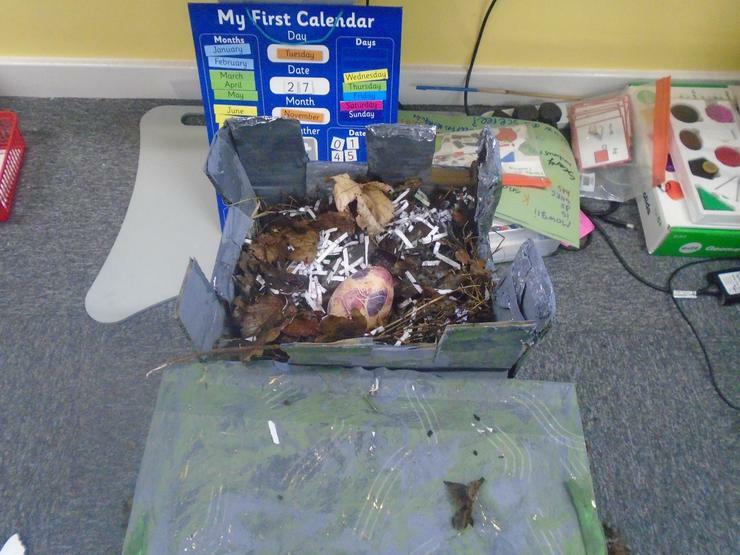 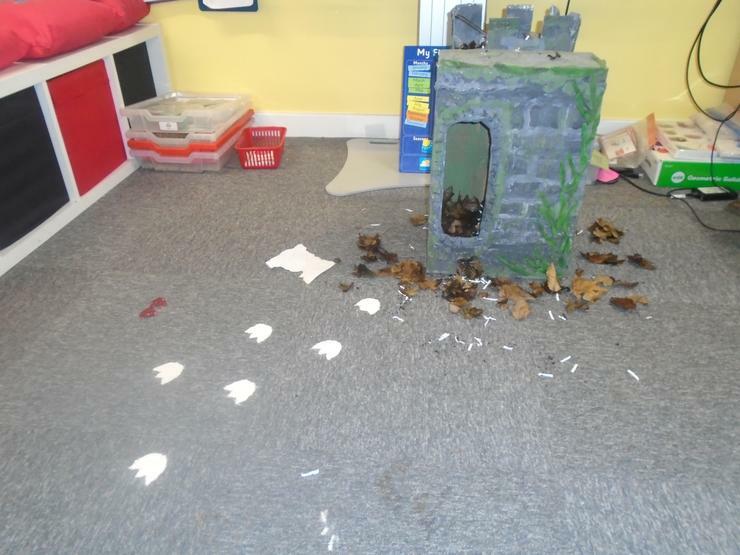 Lots of teachers sent us videos of what they had seen and we predicted a dragon was on the loose! 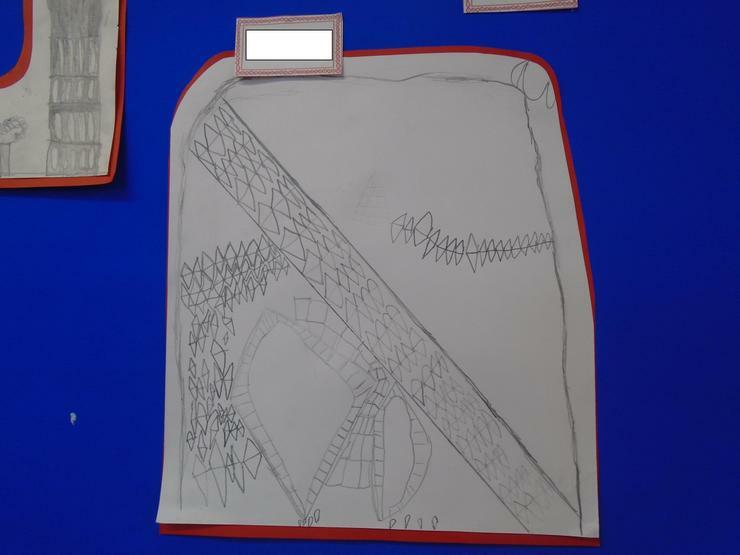 We spent time designing our own dragons, thinking carefully about what they look like, where they live and what they eat. 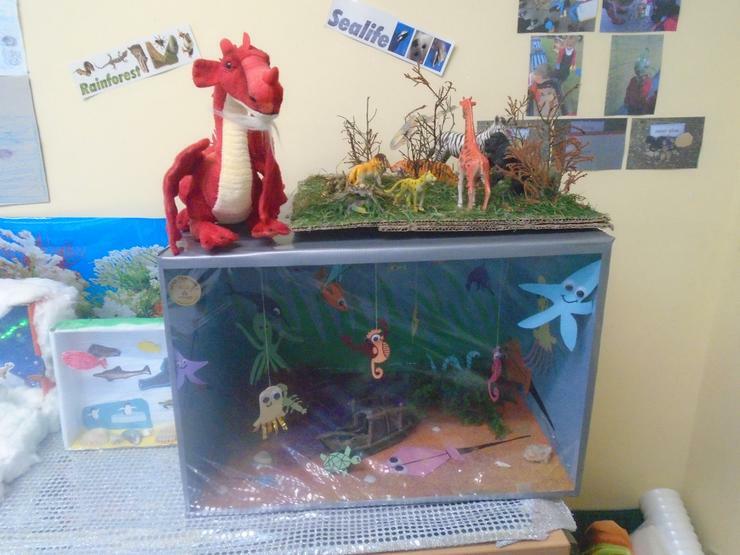 Finally, we wrote very detailed descriptions of our dragons using lots of different VCOP skills.